I’m back again! 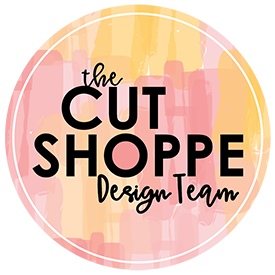 My son heads back to school on Friday, which happens to be my day off, so I’m hoping to have a little more time to blog and get caught up on my recent projects! But today I have another AHSC #120! I started by layering Colonial White Cardstock and Black Cardstock. 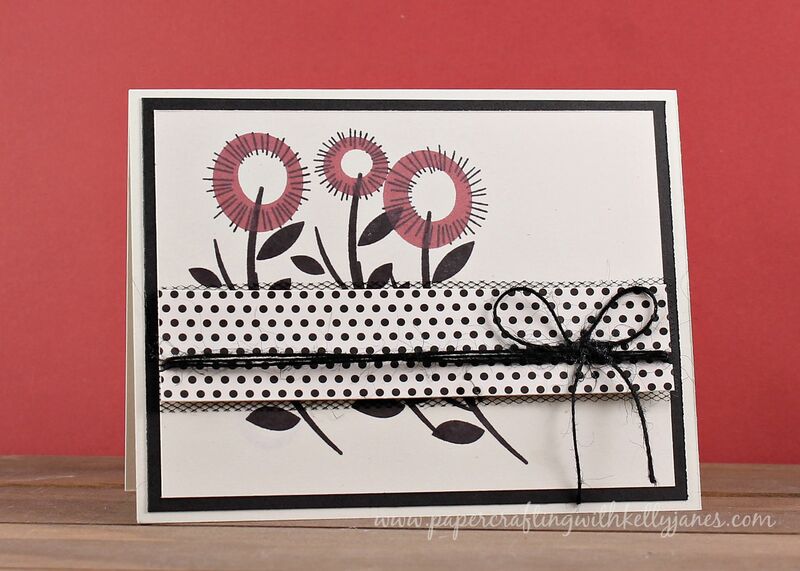 I used the Blossom Cardmaking Workshop On The Go® to create the flowers in Black Exclusive Ink™ and Ruby Exclusive Ink™. I grabbed a piece of black tulle and a scrap piece of polka dot paper. 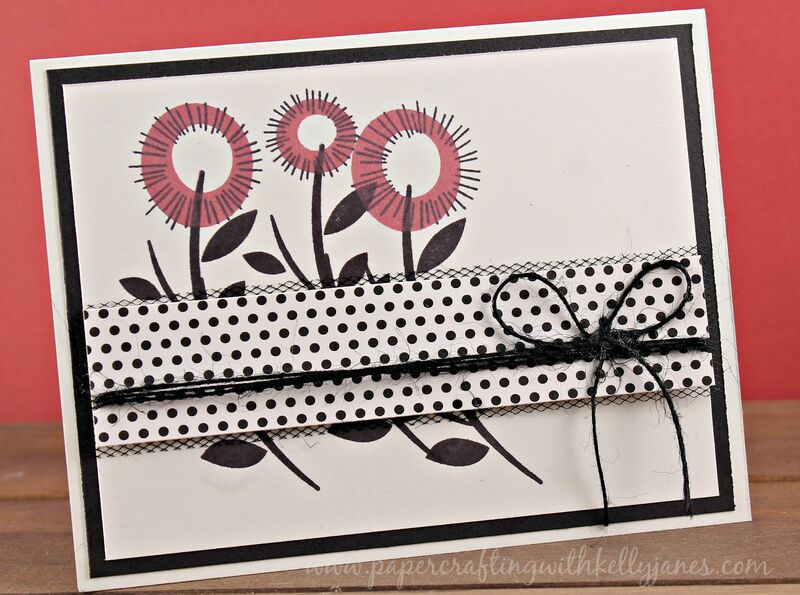 I then added a bow of black twine to finish the card. I purposefully did not add a sentiment to this card. This card can be used for many occasions-sympathy, birthday, wedding-when the occasion arises I will add the sentiment! 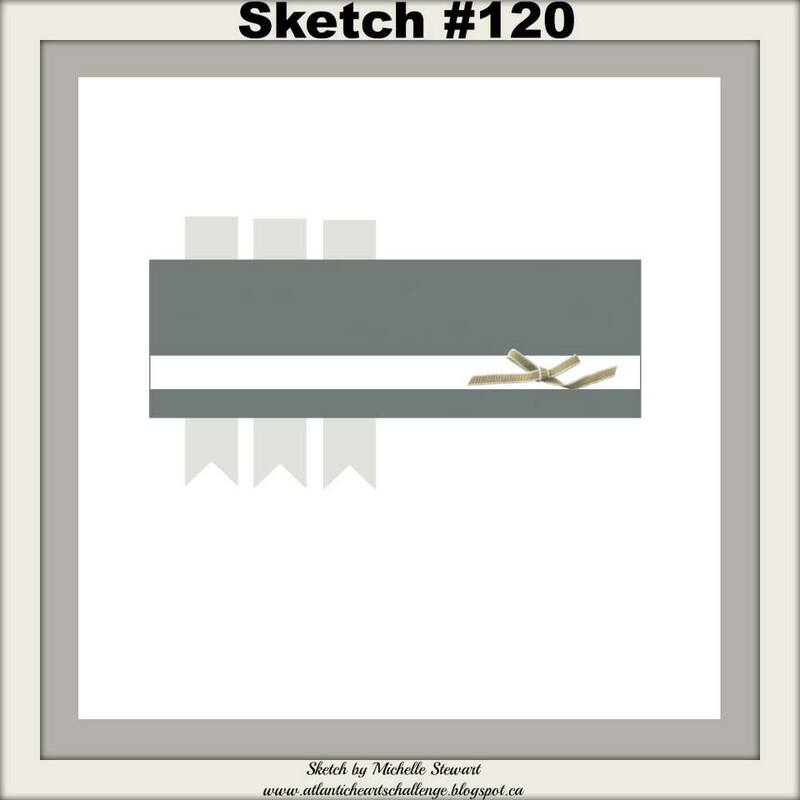 Head over to Atlantic Hearts Sketch Challenge to enter your card in this week’s challenge. I love the tulle under the B&T. I have a lot of wide ribbon and this might be a way for me to use it.